Although we’ve seen the demand for CBD oil merchant account solutions skyrocket, we’re nonetheless quite amazed at how sales for CBD are appearing practically everywhere we look, such as fueling stations, vitamin and supplement retail stores, physician’s offices and many other places. While CBD retailers are popping up everywhere, getting a merchant account isn’t the easiest process. Preferably, merchants need to be in a legal state — preferably recreationally, at the very least medically. Currently, there are three states that prohibit any kind of cannabis: Nebraska, Idaho and South Dakota. In every other state, CBD is legal but with caveats. Behind an invaluable acquiring banking partnership, Instabill is among the best merchant account providers for CBD merchants worldwide. With a 10 minute conversation to find out more about your business, our expert merchant account managers will navigate you through the process to get the approval you need. For the second straight year, Instabill was named among the top CBD oil merchant account providers by payment card industry watchdog CardPaymentOptions.com. While the information beneath our profile is outdated, we do have a credit card processing solution for CBD following our previous option (see below). While more states are legalizing cannabis for recreational and medicinal use, most banks in the U.S. have been very slow to follow. Federally, cannabis is still illegal and considered a Schedule 1 drug — perhaps unfairly — along with the likes of heroin, LSD and mescaline. Agree or disagree, most banks are hesitant to board CBD merchants due to federal law. We’ve come a long way since our first options for CBD just a few years ago — an aggregate offshore merchant account with a shared billing descriptor. At the time, it was the best any payment processor could do. Over the last six months, however, Instabill has partnered with an acquiring bank with affordable rates and fast approvals for CBD oil merchant account solutions— as fast as 3-4 days. For first-time CBD merchants and/or those who sell nutraceuticals or vitamin supplements online, this bit of advice is vital. Merchants considering selling CBD, whether for the first time or to sell with their current products, must obtain express permission from their acquiring bank to do so, or risk losing their merchant account. Recently, a private physician for whom we approved for a merchant account was well in the works to adding CBD products to her patients. Fortunately, we got to him in time. 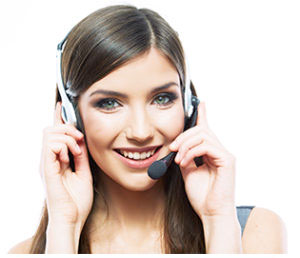 With Instabill, it starts with a conversation with prospective merchants contacting us by telephone at 800-530-2444. Our merchant account experts will walk you through the onboarding process, which includes securing all the KYC documents our acquiring bank requires. Upon approval, our partnership merely begins as we remain available to our merchant partners as consultants for the life of your partnership with Instabill. Again, it all begins with a phone call.